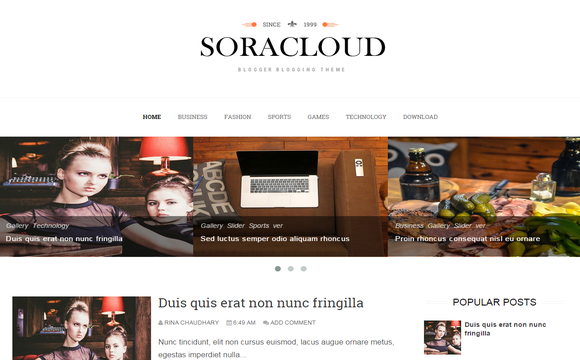 Sora Cloud Blogger Template is a simple, clean, personal, modern and professional blog ideal for making a professional blogging, The theme lets you present your thoughts and information in an elegant way. It’s perfect choice for all type of blogs. 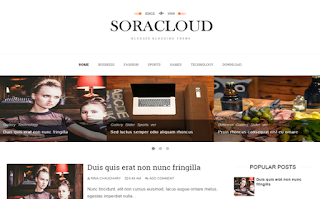 Sora Cloud is a clean and fresh flat color based responsive blogger design and high user friendly blogger template. This template is 100% responsive so it is compatible with many devices, no need to coding as it is very customizable, also it is search engine optimized.